his role of Jon Snow in Game of Thrones. One of the popular English actor and director is Kit Harington. He started his acting career as a theatre actor and rose to prominence for his character in the HBO television series Game of Thrones. His role as Jon Snow in the Game of Thrones became the one of the most popular and loved the character on the series. He became one of the highest paid actors on television earning 2 million pounds per episode of Game of Thrones. For his role in popular television series, Game of Thrones, he has received several awards such as Actor of the Year, Best Ensemble of the Year, Best Ensemble in a Drama Series, Empire Hero Award, Best Drama Supporting Actor, and Giffoni Experience Award, and has been nominated on different occasions. The Game of Thrones star has denied that he has never cheated on his co-star wife, Rose Leslie with Russian model, Olga Vlasova. The Russian model and actress accused Kit Harington that he engaged in a romantic affair with her after they met in Luxembourg. On Twitter, she released images of Harington sleeping naked in a bed clutching with a laptop on his side and claimed that their affair started during Harington-Leslie engagement period and is still continuing after their marriage. According to ET Canada, Kit denies all the accusations on him is untrue. They told. "The allegations in this story are completely false. He's never ever been to Luxembourg nor has he ever met Olga Vlasova. Kit Harington is best known for his popular character, Jon Snow in the HBO television series, Game of Thrones. Kit Harington was born with a name Christopher Catesby Harington. He was born on 26 December 1986. He was born to Sir David Harington and Deborah Jane. His birthplace is Acton, London in England. He has a brother named John Harington. His father is 15th Baronet, uncle Sir Nicholas John Harington was 14th Baronet, and his patrilineal great-grandfather Sir Richard Harington was 12th Baronet. He holds British nationality. His birth sign is Capricorn. He has Scottish ancestry through his father. He attended Southfield Primary School and Chantry High School. He studied Drama and Theatre in Worcester Sixth Form College and graduated from the Central School of Speech and Drama in 2008. He started his career as a theatre actor in 2008. While he was studying drama at drama school, he got the lead role of Albert in the National Theatre adaptation of War Horse. Harington gained recognition from the play and also won two Olivier Awards. His play was also seen by Queen Elizabeth II and her husband Prince Philip in 2009. Harington rose to prominence after he was cast in the HBO television series, Game of Thrones in 2011. His role of Jon Snow is the illegitimate son of the honorable lord of Winterfell, Ned Stark. Winterfell is an ancient fortress in the North of the fictional continent of Westeros. Game of Thrones is the story about the power struggle among noble families to acquire the Iron Throne of Seven Kingdoms of fictional continents of Westeros and Essos. 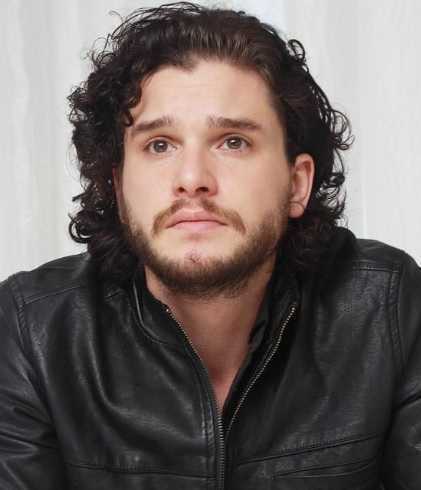 His role in Game of Thrones earned Harington numbers of reputed awards and nominations. He has won Best Ensemble in a Drama Series by Online Film & Television Association Awards in 2013, 2014, and 2016. He has also won Best Ensemble of the Year awards by Gold Derby TV Awards in 2013, 2015, and 2016, along with Best Drama Supporting Actor in 2016. He was also named Empire Hero Award and Giffoni Experience Award in 2015 and 2017 respectively. Besides Game of Thrones, he has also cast in HBO television film, 7 Days in Hell in 2015. He also appeared in three episodes of the 2017 BBC One series, Gun Powder, of which, he was also a developer and executive producer. He voiced Sir Gadabout in the 2018 television film, Zog. He made his cinematic debut in the 2012 horror sequel film, Silent Hill: Revelation 3D, for which, he received the Actor of the Year by Young Hollywood Awards in 2013. The role of Milo in the film Pompeii was his first major lead role in the film. The film won Golden Globe Award for Best Animated Feature Film. His other films are How to Train Your Dragon 2, Testament of Youth, Seventh Son, Spook: The Greater Good, Brimstone, and The Death and Life of John F. Donovan. He will voice Eret in How to Train Your Dragon: The Hidden World, scheduled to release in 2019. Harington started his career from theatre and still is active in theatre performances. After the success of War Horse, he has played a role of Ed Montgomery in 2010 Posh, the role of Colin Henderson in 2015 The Vote, and role of Faustus in 2016 Doctor Faustus. The role of Austin in True West is his recent Theatre act scheduled to premiere in Vaudeville Theatre, London in November 2018. The Game of Thrones star is married to fellow co-star Rose Leslie. They got married on 23 June 2018. They got married at the Rayne Church in Aberdeenshire, Scotland. They started dating in 2012 and encountered an on-off relationship with each other. They announced their engagement through the "Forthcoming Marriages" section of The Times on 27 September 2017. Currently, he lives in Canonbury, London. He also owns a 15th-century country home in Ipswich, Suffolk, purchased in 2017 for 1.75 million pounds. Kit Harington stands 1.73m ie. 5 feet and 8 inches tall. He has a body weight of 170 pounds ie 77 kg. He has an athletic body build. He has maintained his body perfectly. He has dark brown colored hair and his eye color is also dark brown. He usually keeps his hair long. His chest size is 43 inches, Biceps is 15 inches, and his waist size is 32 inches. 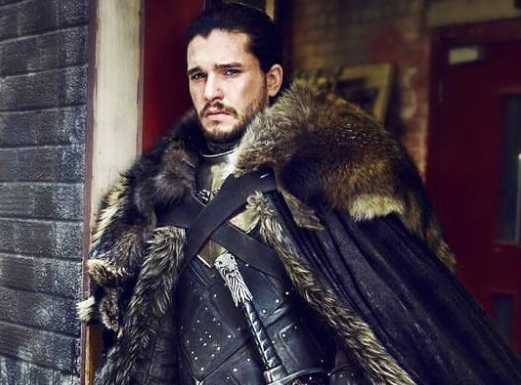 Kit Harington became one of the highest paid actors on television earning 2 million pounds per episode of Game of Thrones. He earned a fortune after joining the Game of Thrones. He has endorsement deals with Dolce & Gabbana for The One fragrance for men. He also endorsed Jimmy Choo's menswear and Nissan's premium brand Infiniti. As of 2018, Kit Harington has an estimated net worth of $12 million. His net worth is likely to rise following his popularity. His mother named him after Christopher Marlowe. Christopher was shortened to Kit. Harington discovered his real name at the age of 11. Harington nearly died of drowning in a swimming pool at the age of four. Before acting, he wanted to become a journalist.